Critical plot points pivot often on characters' use of firearms and knives. However, many writers fall victim to pop culture clichés that don't accurately represent these important items. From terminology to tactics, depicting firearms and knives correctly can establish authority with an audience, make your writing stand out and prevent plot holes the size of bullet wounds. 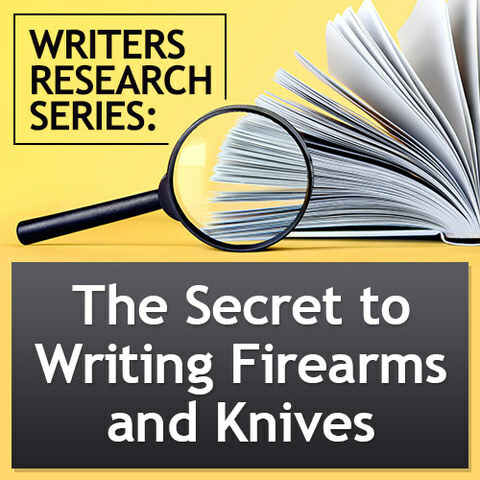 In this presentation, Ben Sobieck, author of the Weapons for Writers: A Practical Reference for Using Firearms and Knives in Fiction (Writer's Digest Books, Summer 2015), will boil the complex world of firearms and knives into key points you can use right away to avoid the trope trap. It doesn't matter if you grew up around these items or have no interest in ever shooting a gun, you'll have a firm grasp of key concepts and a leg up in the competitive writing market. Writers looking to understand the complex world of firearms and knives. Writers who use firearms or knives in their scripts. Writers seeking to understand and accurately represent what happens when someone is shot or stabbed. Writers who want to learn the best practices for including a firearm or knife in a scene. Writers wanting to avoid the shame of being called out for inaccuracies on the ever-so cruel and pervasive internet forums! 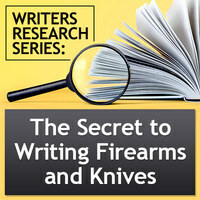 Benjamin Sobieck is the author of The Weapons for Writers: A Practical Reference for Using Firearms and Knives in Fiction (Writer's Digest Books, July 2015). As an online editor and online product manager for F+W, he works with leading outdoors and weapons publications, including Gun Digest, BLADE, Living Ready, Deer & Deer Hunting and many others. He's the author of the Maynard Soloman crime fiction humor series and many short stories. His website is CrimeFictionBook.com. He's currently working on his second crime novel.